Apart jumped on a show last night at the last minute and I caught their set. I knew nothing about the band at all so one could say I was going in fresh, with no expectations. The band played a short set due to jumping on the show, however from the first note (opening with "Carolina Cold") I found myself totally drawn into the power of the drums, the urgency of the screams and melodic nature of the strings. As the set went on the drummer precisely bashed the large cymbals to create a warm hum and emphasize every transition with some drum fills that alerted you of the change without being too showy. 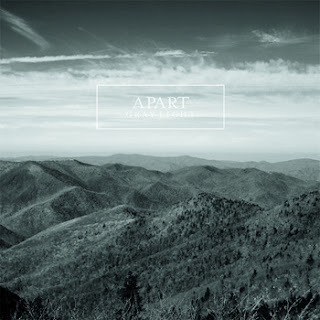 Apart could possibly be lumped into that whole group of bands that are defined by the Touche Amore/Pianos Become The Teeth sound, however, there's something about Apart that chooses to take their sound a bit further. Perhaps the dynamics of these songs where every pause is placed to create a good deal of intensity, or perhaps it's how the lyrics are communicated in a scream that never lets up or gets exhausted. A great record here, if you're into this sort of thing.